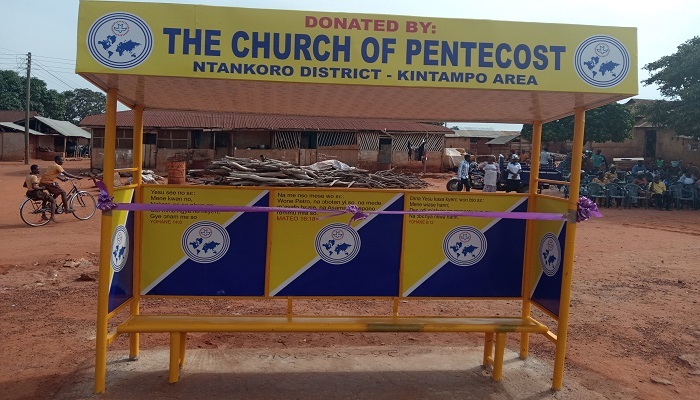 In line with the 5-year vision of The Church of Pentecost to possess the nations, dubbed: Vision 2023, the Ntankoro District in the Kintampo Area has constructed and dedicated a bus stop shelter at the Ntankoro car station to the glory of God. The facility was dedicated on Thursday, April 11, 2019, by the Area Head, Apostle Gideon Obeng-Darko Debrah. 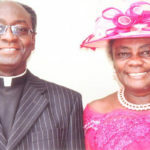 He was assisted by the District Minister, Overseer Samuel Katakyie Ware. Addressing the gathering at the dedication ceremony, Apostle Debrah said that the church is the salt and the light of the world and has always been a leading transformational agent in every society. According to him, the Church must therefore not only focus on preaching the gospel but pursue holistic ministry by going further to minister to the social needs of the communities in which they are located. The Area Head also commended the leadership of the Ntankoro District for setting the pace as the first District in the Area to fulfill this aspect of Vision 2023 and encouraged other ministers in the Area to emulate this good gesture.